This is a tried and tested look of mine........check out this post on my grid dating back to October 2016. If it works, it works! Nail that signature style! The very same Uniqlo sweater above......basics!! 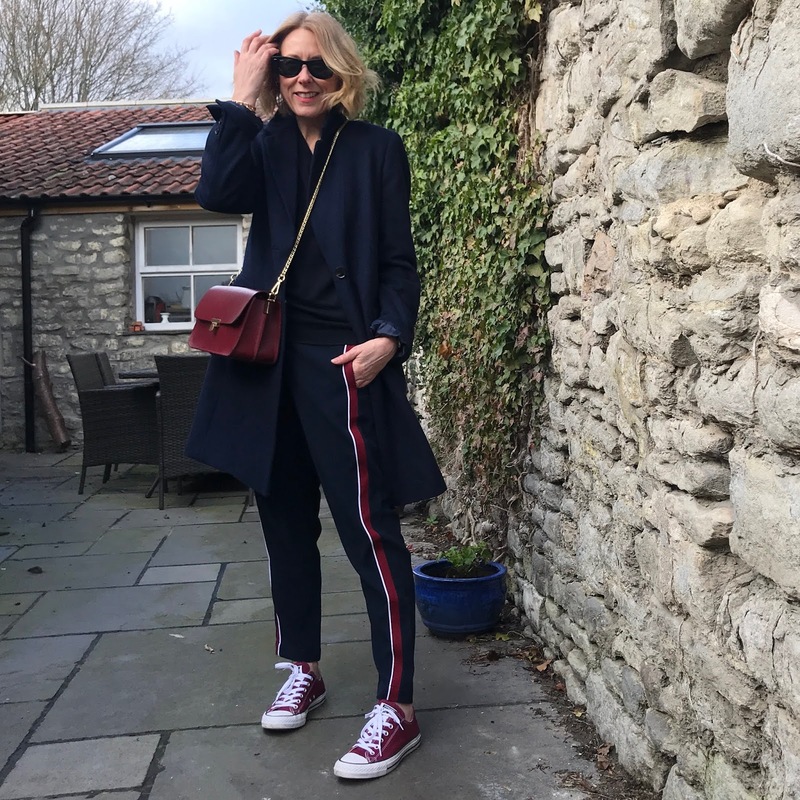 H&M trousers - fab alternative here Converse, past season - alternative here Jigsaw bag, ancient via eBay Rayban Aviators I do love the navy and burgundy colour combo.....I predict more of the same for tomorrow's outfit!